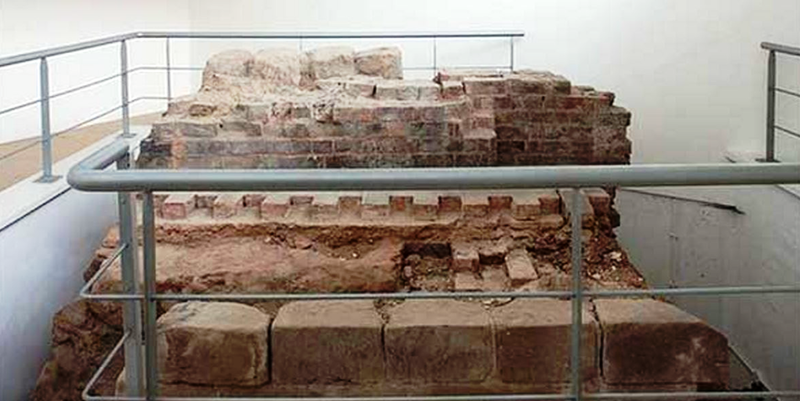 Nottingham was one of the ancient cities that had a wall for defence purposes. It stretched around a good part of the conurbation for well over half a mile with the remainder protected by a large earth bank and ditch and the natural obstructions of a river and marshes to the south. The town wall construction, comprising blocks of local sandstone bonded with mortar, is thought to have been initiated in around 1260, taking approximately 60 years to build.The majority of the wall was demolished by 1540 and almost totally by the end of the 17th century. Little of it remains uncovered in the 21st century. A small section of the wall is still extant and is visible inside a city centre hotel near Chapel Bar from a viewing platform, it being unearthed during the excavations of 1964 when building the city’s Maid Marian Way thoroughfare. A road that has been seen as unlovely and unloved due to its bland appearance and the fact that it butchered its way through a number of historic and mediaeval streets. Nottingham’s city fathers do not have a good record in the matter of preserving the city’s heritage in these respects. The impressive construction is estimated to have stood some 8m/26ft high at its tallest with a walkway along the top and protective battlements. 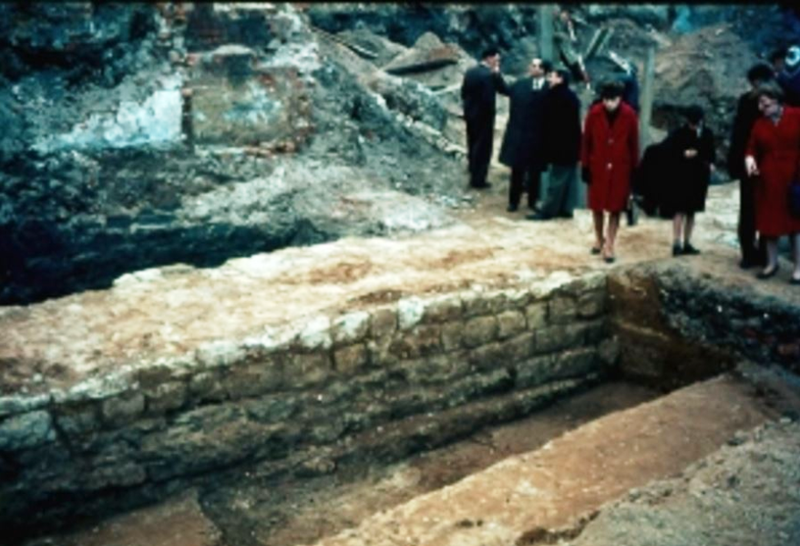 The old wall briefly showed itself again some years later in 1970 during further excavations in Theatre Square to build a pedestrian subway, ironically now closed and buried itself. The image above shows the ancient defence surfacing once more and re-opening the history book at the beginning of the seventies.